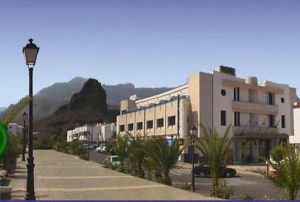 Alcalde Jose de Armas, s/n, 35480 Agaete, Spanje. Puerto de las Nieves is a friendly hotel disposing of a great variety of services in order to offer you a relaxing and funny time in Gran Canarias. It is located in the peerless place of Puerto de las Nieves, the small fishing village of Agaete, in the Northern part of the island. It disposes of 30 carefully decorated rooms. All of them have modern equipments, such as full Bathroom, TV with Canal +, mini bar and phone. Among its facilities, stands out the Faneque Restaurant, with a varied selection of agricultural products, reunions rooms and a complete gymnasium. Moreover, this hotel offers a magnificent spa area, equipped with swimming pool, underwater jet stream, Jacuzzi and an unending number of treatments caring of the body and the mind. 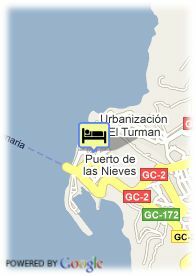 An extraordinary hotel where to spend your holidays or business trips in Gran Canarias. Visa, American Express, Red 6000.